This book considers twentieth and twenty-first century literary and cultural formations of the postcolonial city and the constitution of new subjects within it. Varma offers a reading of both historical and contemporary debates on urbanism through the filter of postcolonial fictions and the cultural fields surrounding and containing them. 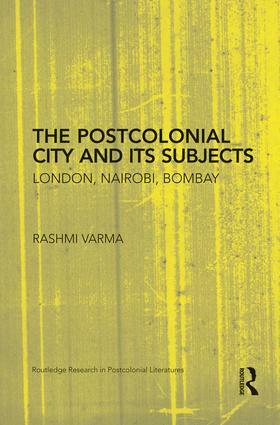 In particular, she presents a representational history of London, Nairobi and Bombay in the twentieth and twenty-first centuries and engages three key theoretical frameworks—the city within postcolonial theory and culture (its troubled salience in the construction of postcolonial public spheres and identities, from local, rural, ethnic/"tribal", and regional to "national", cosmopolitan and transnational subjects and spaces); postcolonial fictions as constituting a new world literary space and as a site of the articulation of contending narratives of urban space, global culture and postcolonial development; and postcolonial feminist citizenship as a universal political project challenging current neo-liberal and post neo-liberal contractions and eviscerations of public spaces and rights.